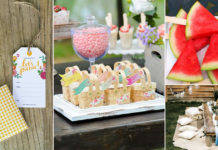 Learn How to Use Popsicle Sticks in Distinctive Crafts with these 15 Popsicle Stick Crafts. The Fun Fact is that You Can craft all of the below-listed projects with your kids and increase their creativity level even more! 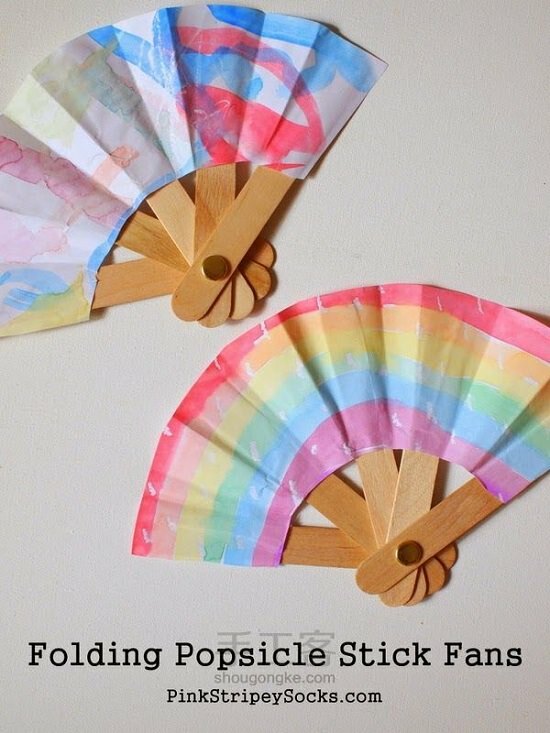 This traditional art of making a folding fan is easy and simple using popsicle sticks and few other supplies. The detailed tutorial is available at Pink Stripey Socks. This surely is a fun and engaging project for your kids to do this summer! Create this cute DIY with this tutorial using clothespins, magnets, utility knife, glue and popsicle stick, of course. 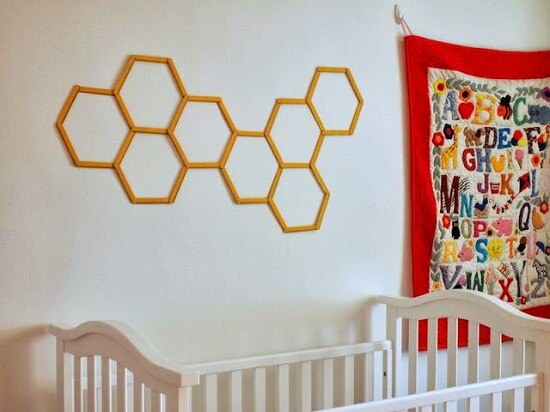 DIY this graphic and decorative popsicle hexagon wall art which covers an even large area of the wall on a budget! Visit Pink Stripey Socks to know more. 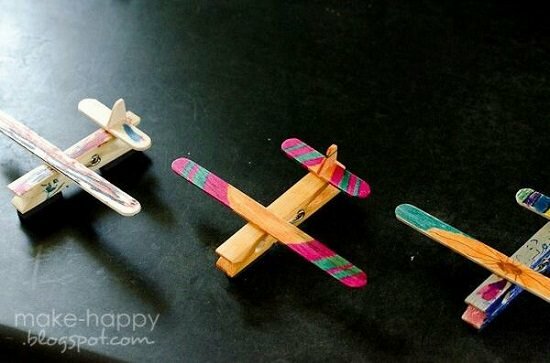 Another easy clothespin project for your kids, this time teach them to make a catapult using few basic and easily available supplies. 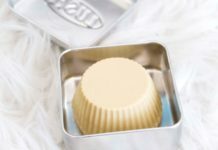 It’s interesting how simple this DIY looks when done! You’ll get the detailed tutorial about the project here. You can use this wall art for any holiday decor or Christmas decor. This adds a sparkling touch to the wall and enhances the beauty of the space. Get the tutorial here. Get your kids busy in making these barnyard farm animals using popsicle sticks. Let your kids show their creativity by making their favorite superhero or barbie sticks using the same technique. Get the How-to tutorial here. Increase your kid’s knowledge about colors by making this color matching xylophone for them. Involve your kids in the project to enhance their creativity! 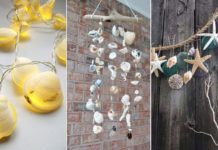 To create this DIY, visit here. 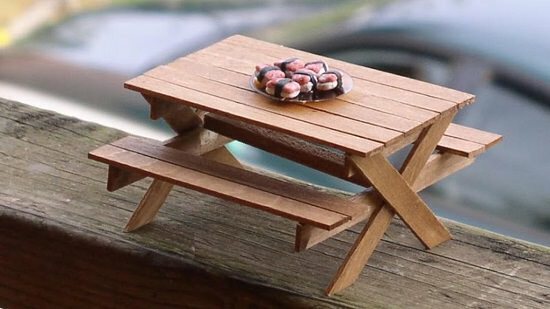 A picnic bench made using craft sticks is perfect for your fairy garden project or even for your miniature craft collection! The video tutorial is here. Your kids are definitely gonna love this project, especially if you have girls. The fact that makes it interesting and exciting, is that it is a popsicle sticks bracelet! Check out the tutorial here. Create this magnetic fishing game for your kid to increase his/her concentration power. You’ll get the detailed DIY here. This basic handmade clock would look utterly creative and stylish on your wall. Create this wall clock in simple steps available at Hip House Girl. This is a four material DIY, you just need to have popsicle sticks, sharpie, sandpaper and a plastic bag. You can create this project in no time with the help of your children. Here’s the step-by-step tutorial. This could be an ideal rustic and creative decorative centerpiece. 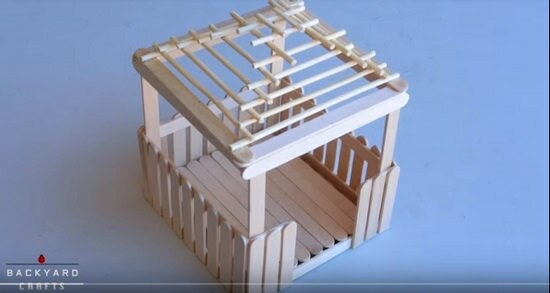 You can make it using just a few popsicle sticks and glue! Watch the video tutorial here. A puzzle made from popsicle sticks, it helps to enhance your kid’s recognizing senses and is a fun game to pass time with. Create one for your kid with the help of this article. 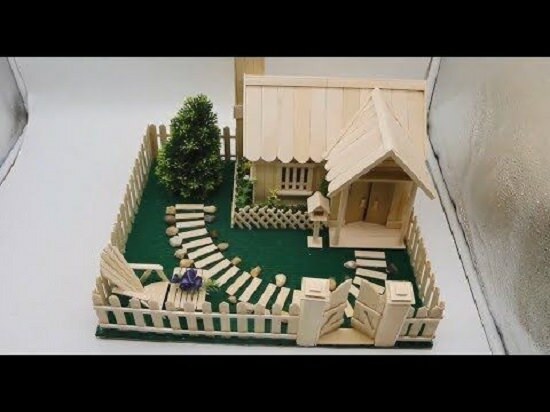 Build a miniature house using just craft sticks and hot glue! It surely has the capability to become the new centerpiece of your craft world! Try making this DIY with the easy video tutorial here.